You can now use WhatsApp new features WhatsApp Private Reply if you are doing a group chat with someone and you want to reply to some particular person which no one else should see. This can be done with the private reply feature of WhatsApp Beta version with which you can reply to a particular message which has been sent in a group to that sender privately, meaning in the personal chat. Currently this feature is only available in WhatsApp Beta version for Android. 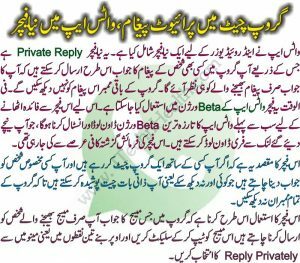 You can download WhasApp Beta Version from link given below. WhatsApp users were asking for this feature from long time, finally, their wish is granted. WhatsApp Private Reply feature allows users to send a private message with the help of a group message. 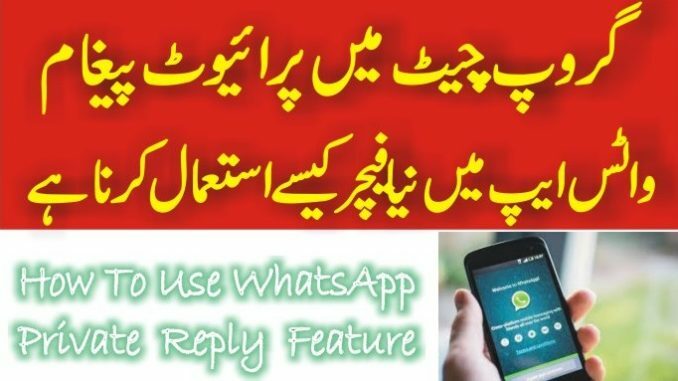 First of all, download latest beta version of WhatsApp from link given below and after downloading and installing this beta version follow the steps given below. 1. WhatsApp Private Reply feature arrives in Android beta version only. 2. It comes with Android beta version 2.18.335. 3. It is not available for iOS users. 4. It is not confirmed yet when the Private reply feature will be available for iOS users.